Olympians are pretty inspirational too – proving if you’re determined and you work hard, you can be successful. As a writer I can learn from them and go for my own version of a gold medal – a publishing deal! Any other Olympic fans out there? I’m glad I’m not the only one not great at sports 😉 Haha they do all look very toned! I am really proud of the women’s gymnastics team. They really did a great job yesterday. My heart goes out to the Russian team. I hope they realize just how good they are to even compete in the Olympics. Love that Michael Phelps set an all time Olympic record with the most Gold’s. That’s definitely a goal for upcoming athletes to beat. 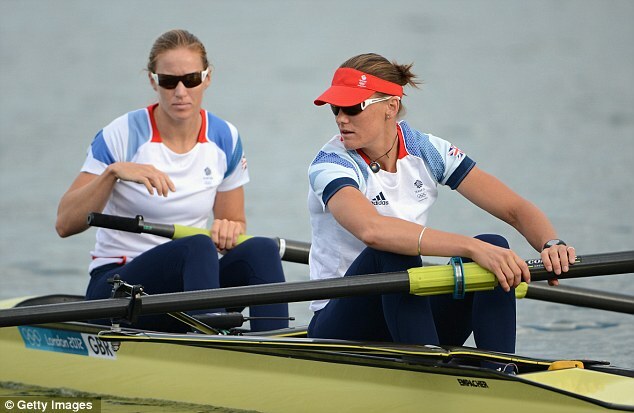 Congrats on the GB rowing team! That was a great race to watch! You guys are doing really well! I’ve never really watched The Olympics before this year, and now I’m mostly just watching it at the gym. I had no idea whitewater rafting was an event. There are some interesting events! I’ve been sucked into the games too. I loved the opening ceremonies, and the coverage this year actually makes me feel like I’m watching it in person! I’m not a huge fan per se but I hope we get more gold! My niece (14 years old) is visiting and we’ve been enjoying watching the gymnastics, and a bit of swimming and diving. It’s fun seeing things through her perspective. Aw cute, I hope she’s enjoying it all! I love how the news networks are trying to make the Olympics more personal this year by showing little profiles and childhood photos of some of the Olympic athletes, and sometimes even videos clips of them doing their sport as four and five year olds. It makes me root a litle harder for that particular athlete after learning a little more about them. Hehe I enjoyed the ceremony too, I think it was a good blend of British humour and talent!